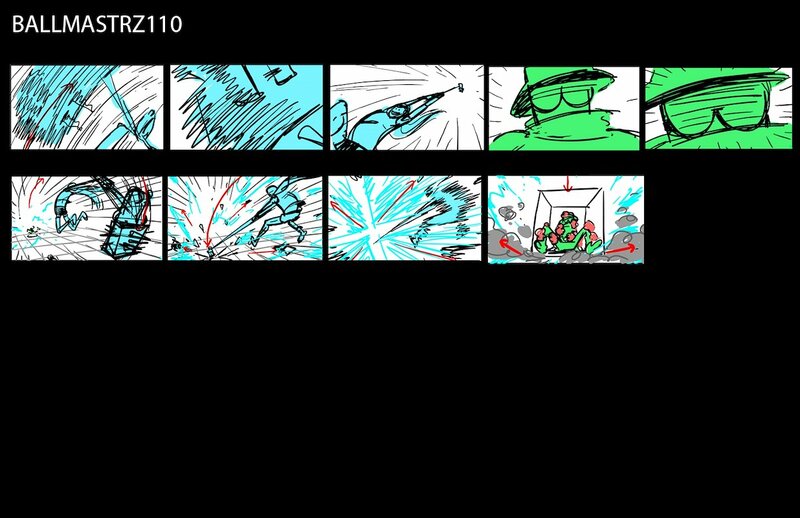 After a scandalous fall, one of the greatest players of '‘The Game’' Gaz Digzy, must guide the worst team that ever participated to prove herself to The crazed ruler '‘Crayzar’'. 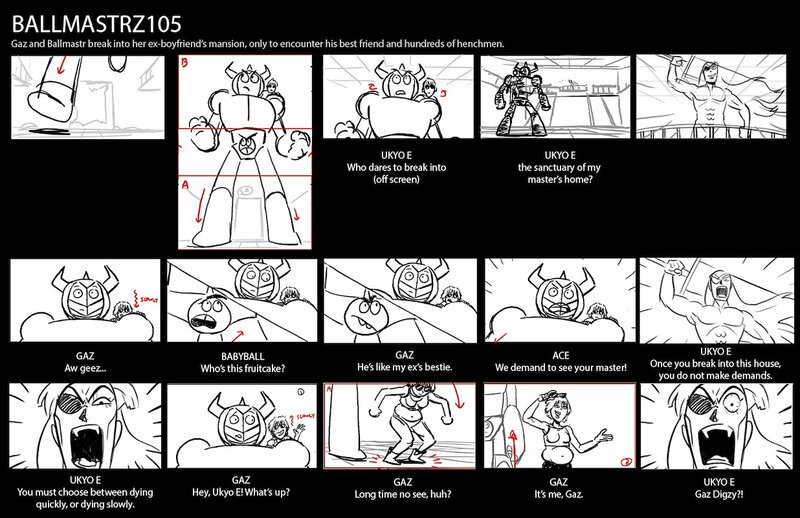 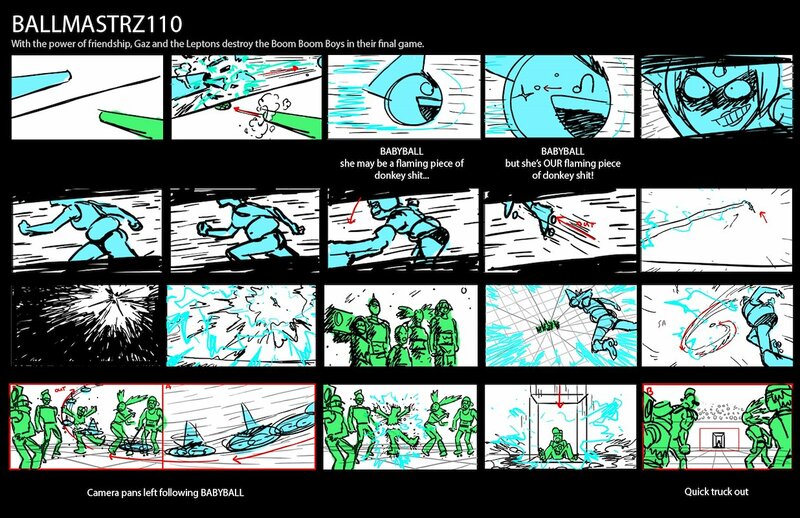 Below is some of my work on season 1 of Christy Karacas’s Ballmastrz:9009. 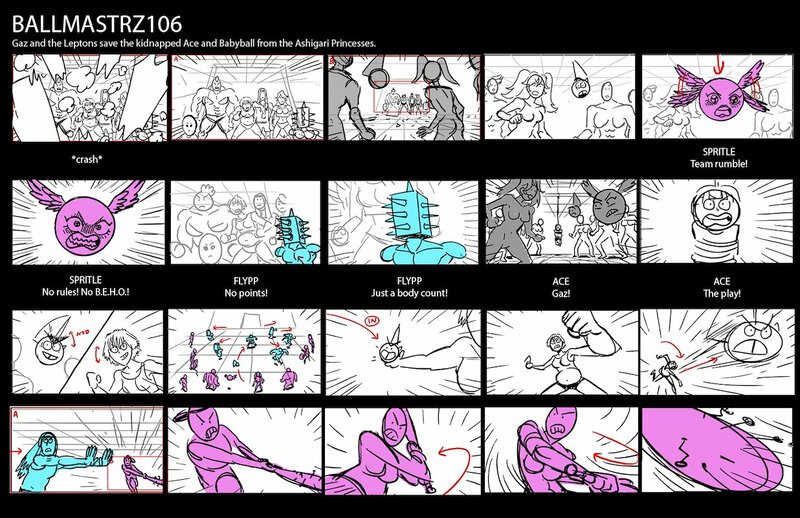 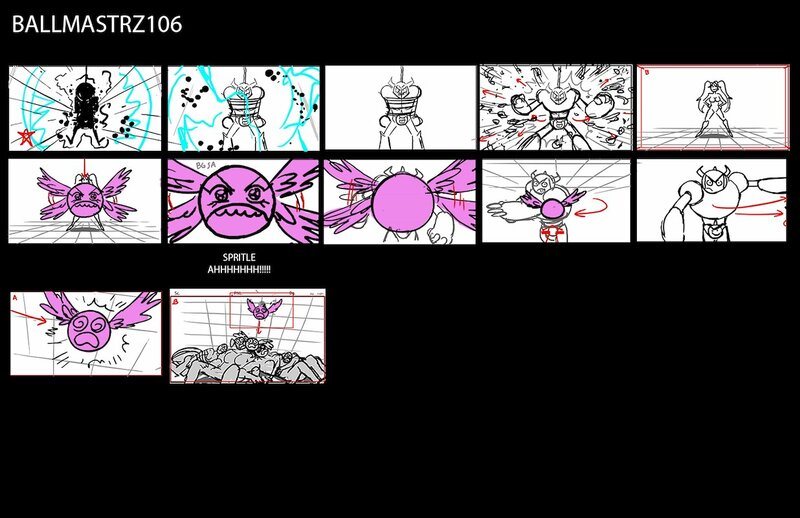 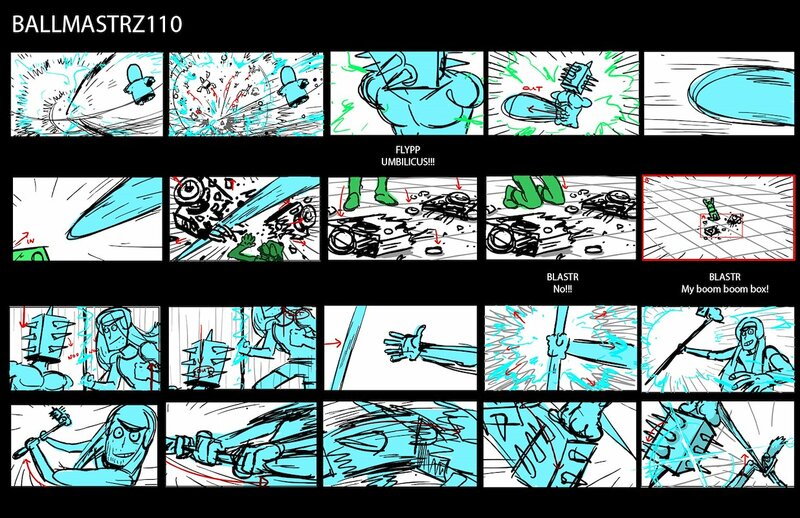 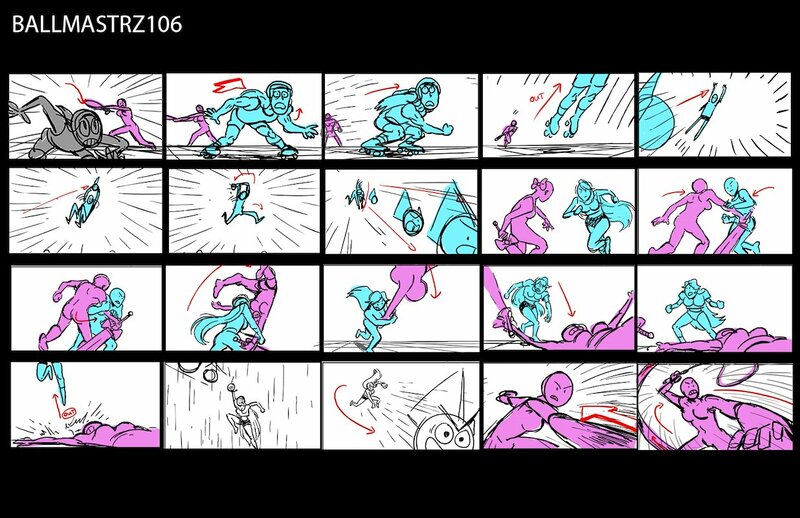 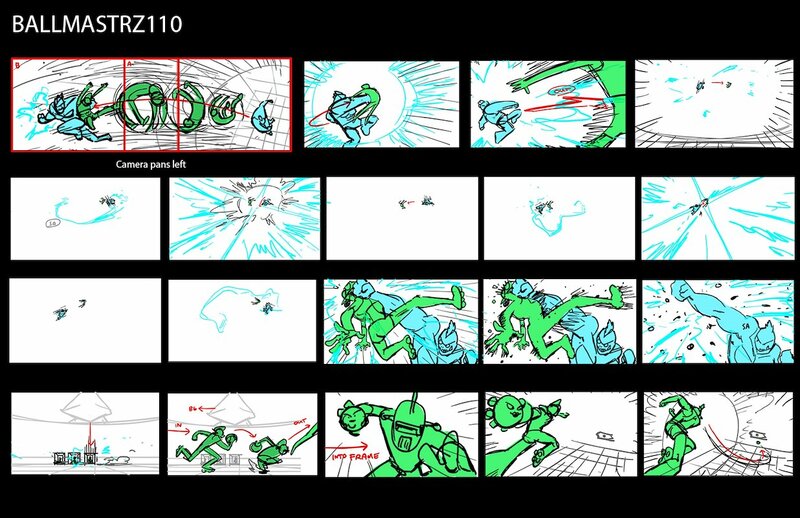 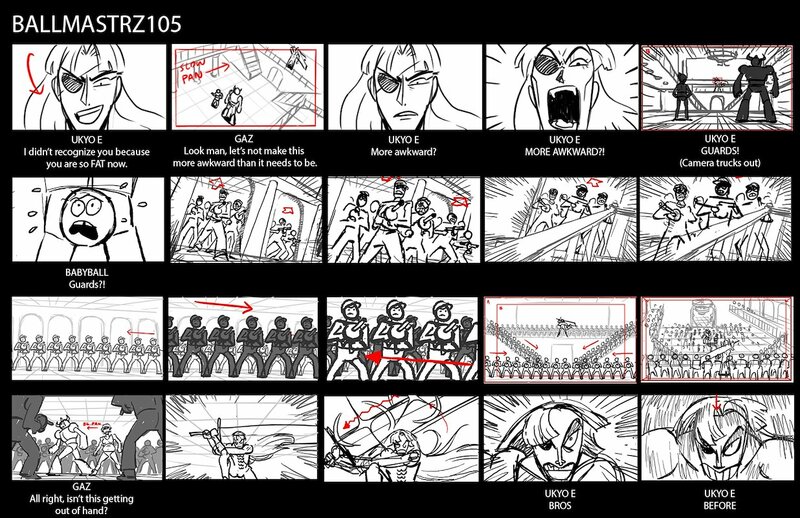 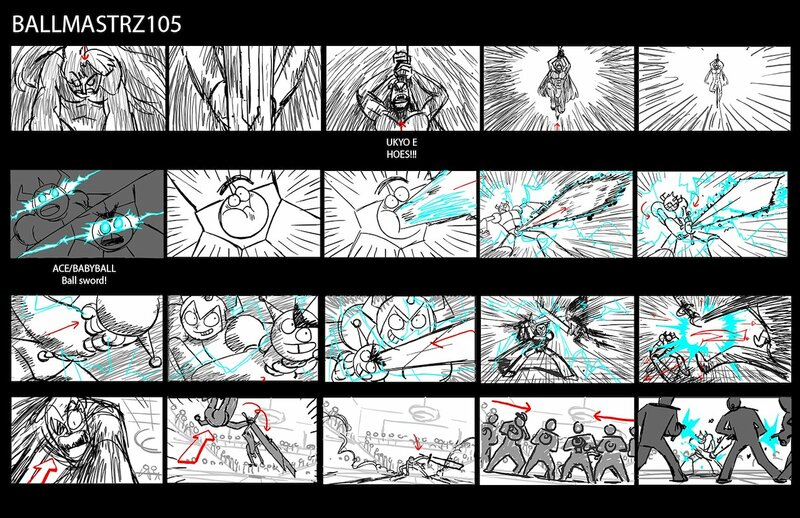 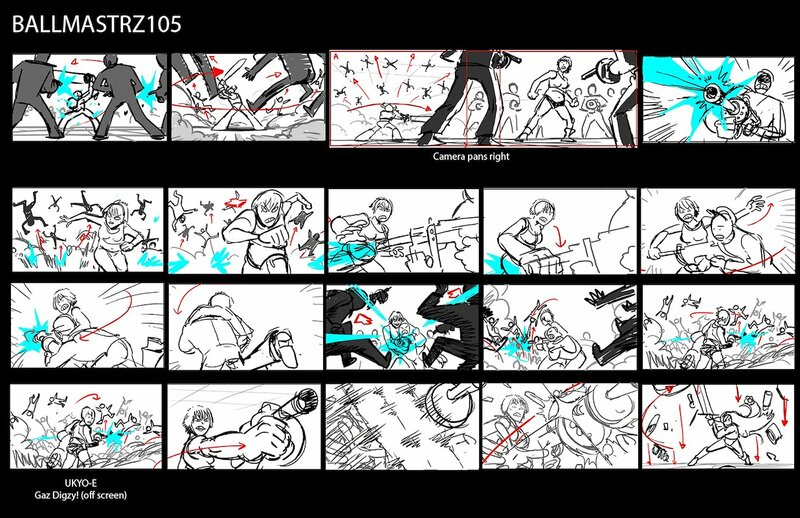 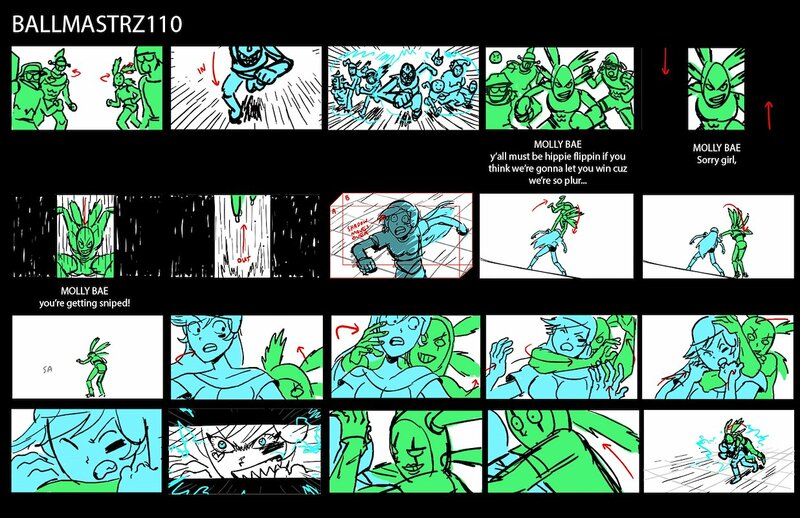 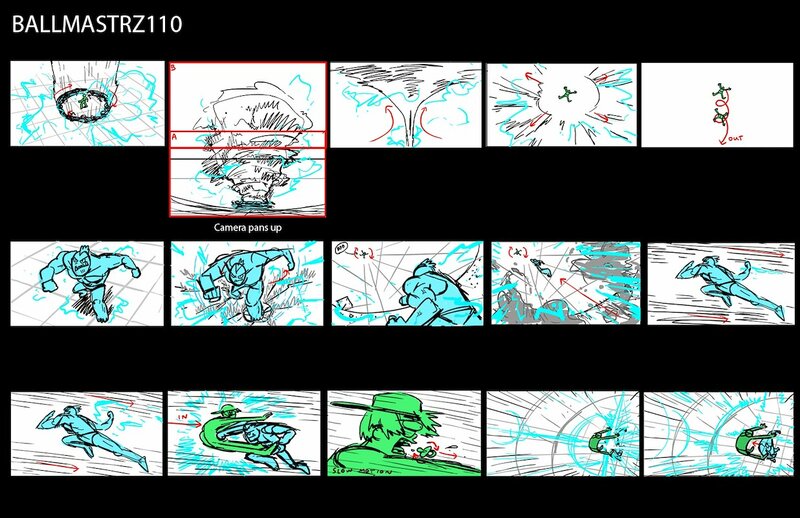 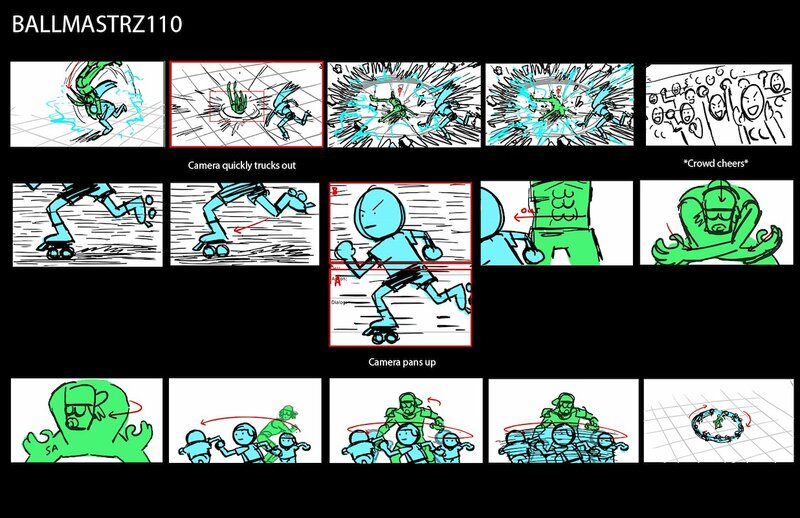 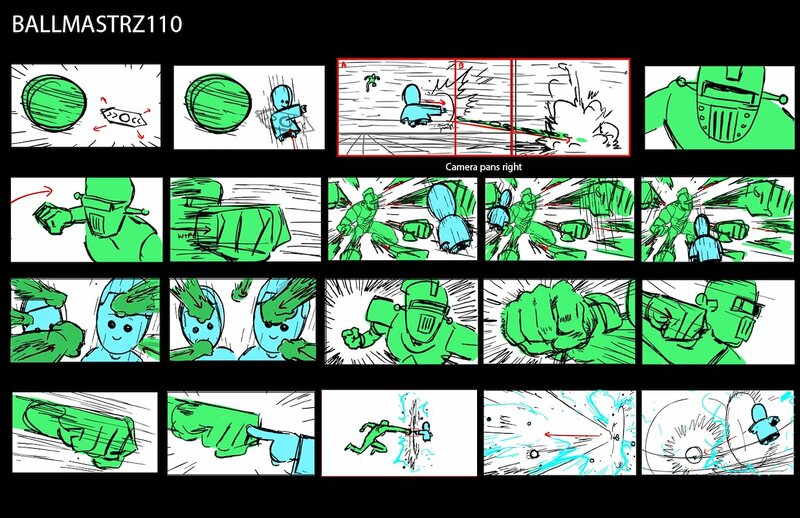 These boards primarily showcase the anime-inspired action the show has become known for, as well as some visual gags I was able to fit in beyond the comedy written in the scripts.